A couple of days ago we had colleagues from Singapore visiting our Hong Kong office and team. 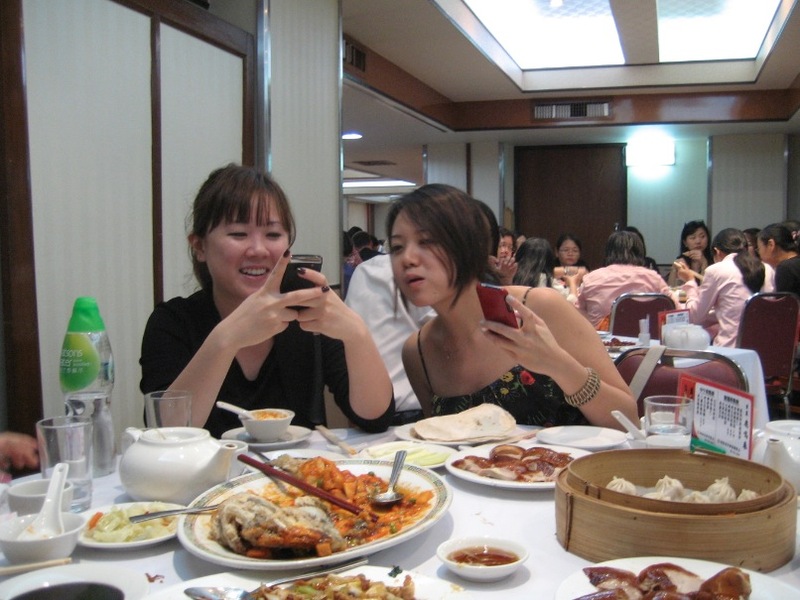 We decided to treat them to a lovely dim sum lunch and a Peking duck dinner. My colleagues recommended Spring Deer in 46 Mody Road, Tsim Sha Tsui. They managed to book a table on the day before (which they said is difficult) and we got a table in one of the quieter corners. It was very busy for a Tuesday evening, with every table occupied. 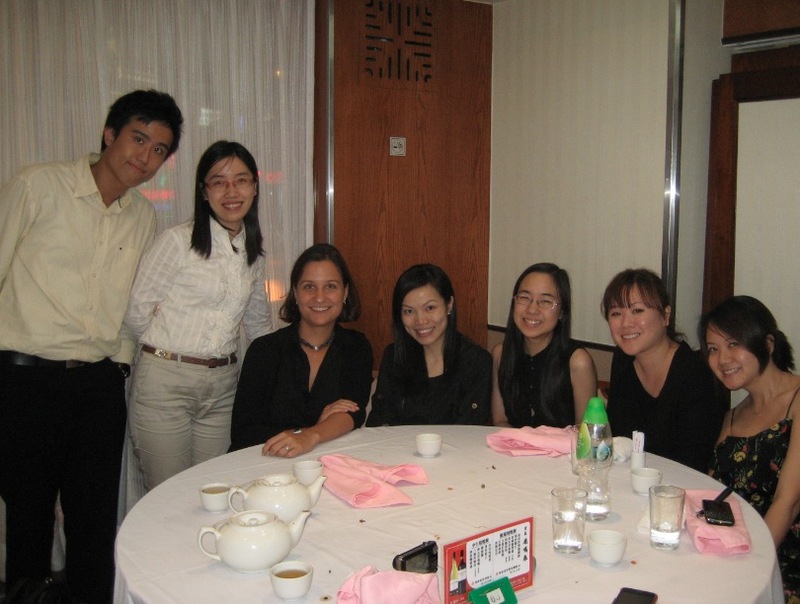 Some Westerners, but the majority of diners were Chinese. We ordered a number of dishes, including a winter melon soup (which tasted nicer than I thought it would – I had feared it was very bitter, but it was not), mutton meat with spring onions, vegetables and bread rolls. 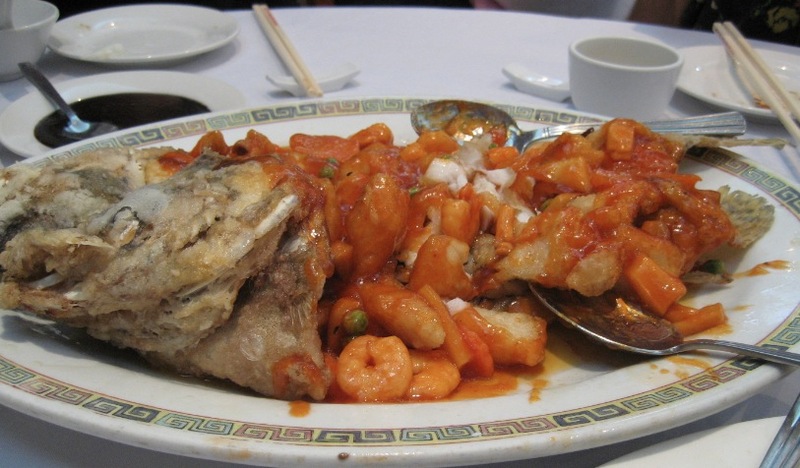 We had an amazing sweet and sour fried fish. It reminded me of a lovely dish we had in Guangzhou in 2004, back then I still believed that the sweet and sour sauce was a Western adaption of what we thought Chinese food should taste like – but in fact that’s wrong, sweet and sour sauce is a typical sauce in the south of China. 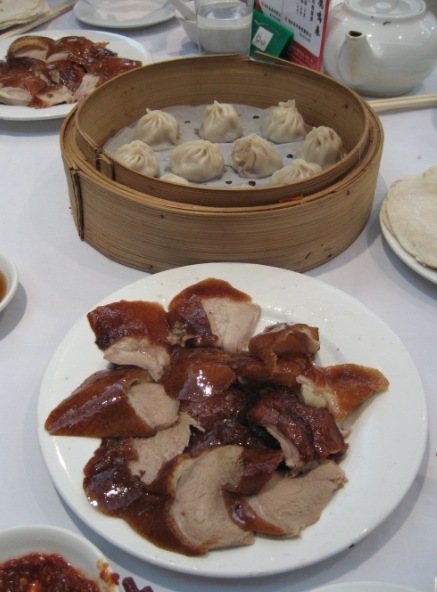 We also ordered Peking duck (of course). It was cut right in front of us and we had the meat and skin being served on a plate. Together with spring onion and cucumber we added plum sauce and rolled the duck meat in a pancake, it was very juicy and tasty. Of course, we also had some Shanghai dumplings (xiao long bao) which were really tasty and yummy. As always you have to be careful when biting into them, that the hot soup does not burn your mouth – or worse: spill everywhere! Thanks – it was a very nice dinner. Which dishes don’t sound that wonderful to you? The duck sounds nice and I am sure it tastes good, but that fish, I don’t know. What ever that is on the plate on the left side, looks, well lets say not so good. I am not crazy about Asian food and it amazes me every time you talk about the food. I think you are very brave to taste everything and then like it! I think you are very BRAVE all together!